MUCH MORE emphasis is placed on the doctrine of Karma in Hindu theology than in the religions of Beni Israel. By Hindu theology I do not mean only the Vedantic or Brahmin, but also the Buddhist; by the religion of Beni Israel I do not mean the Judaic only, but also the Christian and Muslim. The whole of Hindu philosophy is based upon the doctrine of Karma, but the moral of the religions of Beni Israel is also based upon Karma; the only difference is that in the one case the philosophy is based on Karma, and in the other it is the morals. The meaning of the word Karma is action. It is quite evident that what one sows one reaps; the present is the echo of the past, the future is the reflection of the present; and therefore it is logical that the past should make the present and the present make the future. Nevertheless, in the Sufi school little is said upon this subject, and very often people interested in the doctrine of Karma begin to wonder if Sufism is opposed to it. It is not at all opposed to it, but because of the way a Sufi looks at it he cannot but close his lips. In the first place what a person calls right or wrong is only according to his own knowledge. He calls something right which he knows as right, which he has learned to call right; he calls something wrong which he has learned to call wrong. And in this way there may be various nations, communities, and races, differing in their conceptions of right and wrong. A person accuses another of wrongdoing only on such grounds as he knows to be wrong. And how does he know a thing to be wrong? Because he has learned it, he has read it in a book, or he has been told so. People have looked with horror, with hatred, with prejudice at the doings of one another, individuals, communities, nations, and races; and yet there is no label, there is no stamp, there is no seal upon actions which points them out as being right or wrong. This is one aspect of this question. There is also another way of looking at it. At every step of evolution man's conception of good and bad, of right and wrong, changes. How does it change? Does he see more wrong or does he see less wrong as he evolves? One might naturally think that by virtue of one's evolution one would see more wrong, but that is not the case; the more one evolves the less wrong one sees, for then it is not always the action itself which counts, it is the motive behind it. Sometimes an action, apparently right, may be made wrong by the motive behind it. Sometimes an action, apparently wrong, may be right on account of its motive. Therefore although the ignorant are ready to form an opinion of another person's action, for the wise it is most difficult to form an opinion of the action of another. Seen from the religious point of view, if a man evolves spiritually he sees less and less wrong at every stage of his evolution. How can God be counting the minor faults of human beings who know so little about life? We read in the Bible, 'God is love'; but what does love mean? Love means forgiveness, love does not mean judging. When people make of God a cruel judge, sitting in the seat of judgment, getting hold of every person and asking him about his faults, judging him for his actions, sentencing him to be cast out of the heavens, then where is the God of love? Coming to the philosophical point of view one may ask whether man is a machine or an engineer. If he is a machine, then he must go on for years and years under a kind of mechanical action of his evil deeds, in which case he is not responsible for his actions. But if he is an engineer then he is responsible for his actions; and if he is responsible for his actions, then he is the master of his destiny, and makes his destiny what he wishes it to be. The difference between the human and the divine is the difference between the two ends of the same line. One represents limitation, the other the unlimited. One end represents imperfection, the other perfection. And when we consider the human beings of this world, we see that they do not all stand at the same end; they fill the gap between one extreme and the other. Although just now the world is going through a phase of exalting the idea of equality, it happens that the nobility of the soul, even its divinity, is ignored. In every phase of life one notices this. There is one vote for everybody in the state, and also in the home; it is the same everywhere. But when we come to understand the spiritual life of things we shall realize that just as on the piano all the notes are not the same, so all the souls are not alike. Man starts his life as a mechanism, a machine, but he can develop to the stage where he is an engineer. The restriction of Karma is only for the machine. No doubt every soul has to be a machine first in order to become an engineer later; and one does not turn at once into an engineer. One does this gradually; that is why the influence of Karma is not the same upon every soul. The law of Karma is different for each individual. A thing can be sin for one person and a virtue for another; it can be right for the one and wrong for the other. According to this law each individual has his own Karma to meet with. Speaking from this point of view, the Sufi says, 'It is true that if things go wrong with me, it is the effect of my actions. But that does not mean that I should submit to it. I should be resigned to it because it results from my past actions; but I must make my destiny because I am the engineer.' That is the difference. I have heard a person say, 'I have been ill for so many years, but I have been resigned to it. I bear it easily because it is my Karma, I am paying back.' By that he may prolong the paying, which was intended perhaps for ten years, for the rest of his life. The Sufi in this case acts not only as a patient but also as a doctor to himself. He says, 'Is my condition bad? Is it the effect of the past? I am going to cure it. The past has brought the present, but out of this present I will make the future.' It only means that he does not allow past influences to overwhelm his life; he wants to produce now the influence that will make his life better later. Besides there is something still more essential connected with this subject. Before a person takes upon himself the responsibility of paying back for his past, does he ask himself, 'What was I in the past?' If he does not know this, why must he hold himself responsible for it? We can only be responsible for something with which our conscience is tainted; and that is quite a sufficient load to carry in life. Why add to it a load of the unknown past? When we look at our selves philosophically, what do we see? The keener our sight becomes, the less of our self can we find. The more conscious of reality we become the less conscious we are of our small self. So all this burden of past actions is carried by man without his ever having been invited to take it up. He could just as well have ignored it. It does not benefit him; it only gives him a brief satisfaction to think that his troubles are just; but this idea of justice fortifies his discomfort. The pain that could have been stopped continues because he has fortified the pain. The main object of esoteric work is to put away the thought of oneself: what one was, what one is, and what one will be. One would be much better occupied in thinking about life as a whole: what it is, what it should have been, what it will be. This idea produces a kind of synthetic point of view and unites instead of dispersing. It is constructive, and the secret of spiritual liberation is to be found in it. Brahmins, Vedantists, and Buddhists, who hold Karma to be the foremost doctrine, rise above the idea of Karma as soon as they touch the idea of the goal that is to be attained by spirituality, which they call Mukti or Nirvana. For it is a condition that unless a person has risen above that idea he does not touch Nirvana. The religious argument for reincarnation is that since not every man is worthy to be merged directly into God, he reincarnates an indefinite number of times in order to become purified until he reaches the final destination; thus he is bound to pay all penalties before he reaches the presence of God. The answer to this is that if even man, with his limited sense of justice, never punishes anybody without telling him for what fault, then how could God, the most merciful and just, make a soul reincarnate on earth as a penalty without making him aware of his fault? The scientific argument for reincarnation tells us that a seed goes into the earth and produces other seeds, and this goes on thousands of times, always producing seed again; in this way there is a possibility of reincarnation. So if the seed has sufficient strength to return as a seed, why should not man's soul re-adorn itself with a human body? The answer is that even the seed, until it reaches the innermost culmination, is never able to spring up again as a seed. Besides even then it cannot be called a reincarnation of the seed, but rather a regeneration; also, one seed produces many seeds, and for that reason it cannot be called an incarnation, as the nature of incarnation would be one coming from one and not one turning into many. The same is the case with the soul, which experiences life independently through the five elements and goes back to its own source, carrying the impressions of the outer world and discarding them at each step it takes towards its own essence, the universal Spirit. The earth-substance passes into the earth; the water returns to water; the fire takes its own element into itself; the air takes away its own property; and the ether does the same. When the frame of the five elements, which, just like the sunglass, was able to receive the reflection of the spirit, is dispersed, then the soul makes its own way to its original source. After the body and astral frame are broken up there is no possibility of individuality, because there is none left but the only Being. Reincarnation of a person in someone's thought while awake, or in his dream while asleep, can be recognized; for all beings besides his own self produced in such a way, are produced out of his own mind; therefore they may be called reincarnations. Yet this would not be perfectly justified, because every thought and dream has a birth, life, and death. So even they can be taken as individualities, and as a world produced from a single being. There are some who pretend, or at least imagine, that they can recollect their past incarnations; but in many cases they say so in order to create a sensation and for the sake of notoriety; or it may be just in order to give expression to their whims and delusions. In India one will not find much talk about reincarnation; people there will speak more about Karma. The Yogis, who are among the principal exponents of the idea of reincarnation, do not for one moment believe that reincarnation is for them. If one asks a Yogi he will say, 'No, I am striving for Mukti, salvation. It is you who want to be born again, and therefore you will be born again; you would be very disappointed if you were not.' This, however, needs to be seen from a subtle point of view; the Yogi applies 'you' to what he knows to be the self in the person he addresses. This theory opens up a vast field of interest and curiosity for the imagination of those who can see the objective world. But, again, there are some who always seek for something new. This desire grows to such an extent that even if a new God were produced, they would still seek for another. It may appear by observing the world's evolution, that it is the soul which owing to its previous experience in life enables itself to manifest in a better condition than in the past; but in reality it is not so. The evolution of the world does not depend upon the soul's previous experience; the reason why the world progresses at each step of evolution is that the soul partakes of the improved conditions on its way towards manifestation, thus helping manifestation to progress towards perfection. The doctrine of reincarnation's claim to truth rests chiefly on the law of action, and this at once appeals to the intellect. It means that if a man is a genius in music it is because of his past experience of it; if a person is lame or blind from birth, it is the penalty for past bad actions; if a person is wise and spiritual, wealthy and powerful, it is because of his good actions in the past; thus every soul doing good or evil reaps the results through its reincarnation until it arrives at its destiny. Against this doctrine it may be argued that it is not through any fault of the legs that they have to bear the weight of the body, nor was it because the head had done better in the past that it was made the crown of the whole form. The world is the embodiment of one Being, one God. The explanation of this can be found in what a Persian dervish once said, 'Man lives in the joy of his belief in God, not knowing whether He is his friend or foe. It is as if when the ocean makes its waves leap up joyfully, a twig floating upon them thinks that it is for it alone that the ocean has caused the rising and falling'. Such is the case with all conditions in life. An individual may think he has done something in the past and that is why he is like this now. But it is the rule of God's justice, and he is mistaken here. The ocean-like God has many to think of and to judge; and therefore the rise and fall are either caused by Qaza, the waves of the ocean of existence, or by that which a soul has gathered, either of good or evil, while on the way towards manifestation. The thinkers who have taught the doctrine of reincarnation have never meant it to be understood as it is by people in general. The reincarnation meant by them was the partaking by the fresh soul descending towards manifestation of the attributes of the souls which are ascending towards their original source, which give their load of impressions to the willing souls met with on the way. The soul having once manifested in the body, never has sufficient power to manifest again. The idea of the soul reincarnating in another form has but little truth in it. If it were true that the soul reincarnates as a matter of course, why does it not reincarnate in its original form, which it could easily have collected again? The truth of the reincarnation theory can be understood in this way: that the selfsame proportion of Consciousness which has once been a soul might happen to form again as a soul; but in general there is no such possibility. It would be as rare as a bubble forming the selfsame bubble again; for generally either half, a quarter, or even a hundredth part of the first bubble would be produced, or a bubble perhaps a hundred times as large as the first one. In any case the soul has to merge into the Consciousness before it is sufficiently alive to manifest again. That is why we cannot call it the same soul, for it is quite purified from its previous conditions. It is just like a drop of ink: when it falls into the ocean the water merges into water and its inky substance sinks to the bottom. It can never remain as a distinct drop of ink, but becomes the pure water of the ocean. If it were again taken out of the water it would no longer show its previous substance. Such is the nature of the soul when merged again in the ocean of Consciousness. There are three ways of knowing about life in the hereafter: to know intellectually, by theory; to know by the process of meditation, or 'dying before death', that is attaining the state one experiences after death during one's lifetime; and to die oneself. Those who seek this knowledge are of three kinds. First there is the student who studies it from authentic sources, in order to discover some theory that his reason can accept intellectually. Then there is the adept. 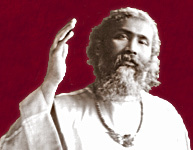 His way is the way of meditation; by meditation he develops that state in which he is as though dead; in which he can rise above the life of the material body, even if only for a moment; and in that way he experiences life after death, which is the beginning of the knowledge of immortality. And thirdly there is the person who wishes to communicate with spirits so as to know about their condition. If he is himself capable of communicating with spirits he can, to a certain extent, get the knowledge from them. A person of the first kind, who tries intellectually to discover a doctrine which will fit in with his reason, will readily agree with the doctrine of reincarnation, because that doctrine explains life intellectually in a way that satisfies the reason. When I have been asked what the Sufi has to say about reincarnation, my silence at times, and my yes or no at other times, have left it vague. Some perhaps thought that I did not believe in it; and that if I did not believe in it then naturally the Sufis in general would not believe in it. This is not the case. Every Sufi is free to believe whatever he feels is right and whatever he is able to understand. He is not nailed to any particular belief. Instead of troubling about these beliefs the Sufi wants to go straight to the central idea; and when he stands there he sees the truth of all things. For the mystery of life is that whenever you take the divine lantern in the hand, all things become clear to you. Therefore Sufism gives freedom to everyone to believe for himself and to find out things for himself. For my yes there was a reason, and for my no there was a reason; not for myself but for the one who asked me the question. People in the world want to make everything rigid, even things which are of the finest nature and which words cannot explain. It is just like wanting to weigh the soul or photograph the spirit when someone describes the hereafter. They should not depend upon my words; self-realization is the aim. Belief in doctrines is a pill to cure sick people. Actually all things are true up to a certain point, but when compared with the ultimate truth they fail to prove their existence. Things appear different from the various planes from which one looks at them; and when a person standing in the valley asks another standing on top of a mountain what he sees there, he cannot tell much. The questioner must come to the top of the mountain and see for himself; there can be no common ground of conversation between the two until then. The Sufi's method is quietude and silent progress, arriving by this way at the stage where one can see for oneself. One might say that much patience is needed. It is so; but then the spiritual path is for the patient; patience is the most difficult thing there is. If someone asked me why I do not say plainly what happens in the hereafter, whether we come back to earth or whether we go on somewhere else, I would answer, 'What you consider yourself to be I do not consider you to be; what you are in your view, you are not in mine. If I speak according to my view it will confuse you just now; you must develop to that plane where I see you. The way in which you consider yourself is an elementary way; now it is a reality to you, but there will come a time when you will realize it was nothing but imagination.' How can I give my opinion to someone to whom it is incomprehensible? Therefore the way of the Sufi is silence. Sufism is not against reincarnation nor against any particular doctrine. Why should it be, since it is a religion which has come to reconcile religions? It is not the idea of a Sufi to oppose any doctrine. I have never spoken against this doctrine of reincarnation, as I do not see the wrong of it; but neither do I see the right of it. When the purpose is the realization of the unity of life, of the unity of God, then the idea of reincarnation, which is based upon the false ego, is not fruitful. Sufism wants to teach man what he is; as soon as man has solved that question he need no longer ask, 'What will my actions do for me?' It is the question of what one is that Sufism wants to solve. At the same time what is apparent is different from what is hidden. Is a man who is born in a palace being rewarded, or is the man who is perhaps starving in the street being punished? What has Christ brought? Salvation. What has Muhammad brought? Najat, salvation. What have the Avatars of the Hindus brought? Mukti, salvation. One always finds the same thing, salvation. That is why it is preferable to keep away from the doctrine of reincarnation and to hold before our vision the ideal of unity, the ideal in which we are united and in which lies the fulfillment of life. Can we then, one may ask, reach salvation in this life? Evolution is different for every soul, but man can generally reach salvation if he sincerely and earnestly wishes it and pursues it. Not only is God all-powerful, but man has a part of this power too. Salvation is in the hand of God, but also in the hand of man. In the wish of man there is the wish of God; the courage of man is the courage of God, and in the confidence of man there is the confidence of God. When we say, as it is written in the Bible, 'Thy Will be done', and at the same time we realize that our wish and our will are not apart from the divine Will, then our will will be done too. But if we do not wish for salvation just now, we will not reach it; for it is necessary as it is said in the Bible to knock at the door; then the answer comes. There is nothing in the world that is unattainable for man, who is made the Khalif, the ruler, of the kingdom of God; there is nothing that is impossible. No doubt there are things which are difficult, and yet there is no difficulty which cannot be overcome. If man only had the courage, he would reach that source where his origin is.